The lease begins on August 27, 2018. The lease end date will be August 7, 2019. The lease dates for Fall 2019 are August 26, 2019 through August 6, 2020. Cable TV, high-speed internet, gas, pest control, trash service and on-site maintenance are included. Residents are responsible for there own electricity which is billed back by Conservice.  The Yard is located at 615 S. Main Street, just steps from the University of Michigan. The Yard has a parking garage with spaces available for rent on a first come first served basis. Please contact the leasing office for pricing. The Yard offers individual leasing. Each resident is only responsible for the rent of his/her bedroom, this is referred to as “by the bed” leasing rather than a “joint & several” lease. So, if one resident moves out, the remaining roommates are not responsible for that roommate's rent.